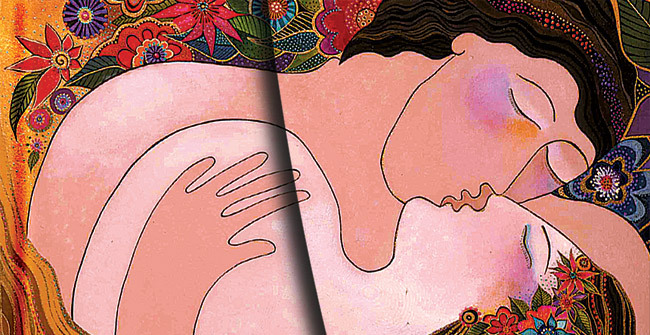 It’s Valentine’s Day, so what better day to spotlight The Lovers series from our Laurel Burch Collection? Laurel Burch (1945-2007) was a self-taught artist and “flower child” who sold handmade jewellery on the streets of San Francisco in the 1960s. Later on, she continued to rely on her intuition and passion, speaking from the heart with an unmistakable style that was the manifestation of her love of life and strong imaginative nature. From her fertile imagination, she created brilliantly coloured, vibrant and moving themes with paint and paper, exquisitely embellished with gold and silver. The covers for The Lovers and The First Kiss portray just two of these moving themes. Both of these blank books are available in the Midi and Mini formats. Looking for Paperblanks in your area? Our Find a Store Near You feature allows you to find the retailers who carry our writing journals. Just enter your postal or zip code to get a listing of Paperblanks® retailers in your area.